Most of the time at Elephant Nature Park is spent at the park, caring for elephants and helping maintain the facilities. However, our calendar of volunteer activities clearly shows that on Thursday, we are heading out of the park to do some volunteer work at the village elementary school with the kids. I love my elephants, but the idea of getting out and into a Thai village really excites me. I know I’m falling in love with the country, so spending time seeing how people live in the small villages rather than the cities really fascinates me. So, on our fourth day at the park, we board our two white vans with the ENP logo on the side, and head off to the local elementary school. 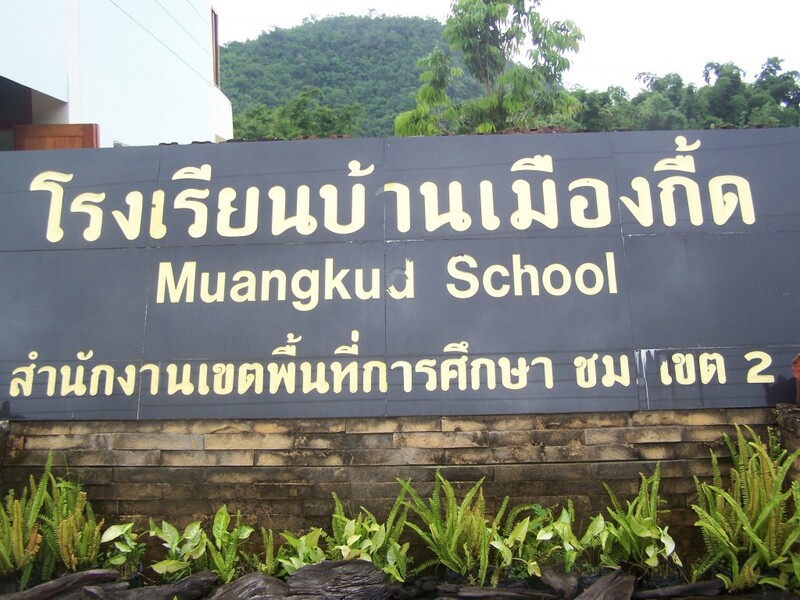 Muangkud School takes only a few minutes to get to from the park. 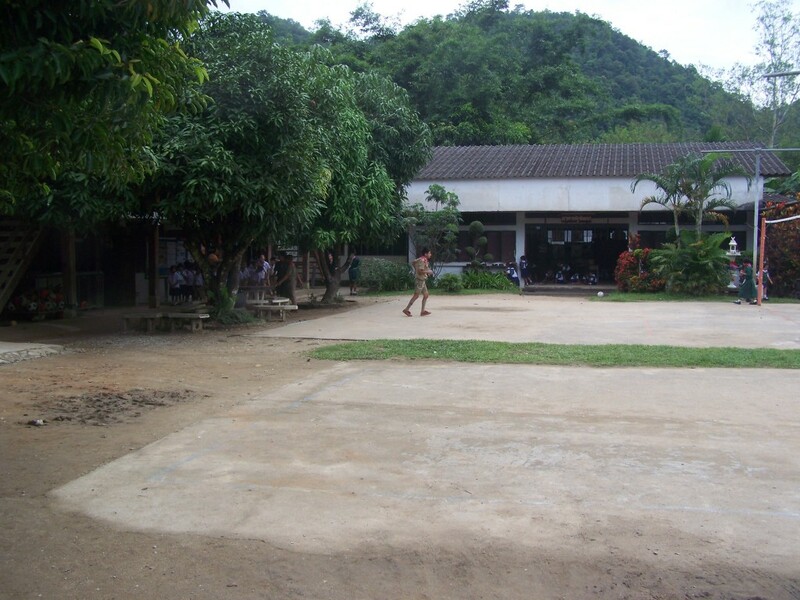 When we arrive, the students, all in uniforms, are either in their class rooms or outside, playing. Unlike the elementary school I went to, this school is one floor and very basic. It is a U-shape, with classrooms opening into a large courtyard. The principal of the school comes up to us and begins to tell us about what we are doing. The children take to us immediately. 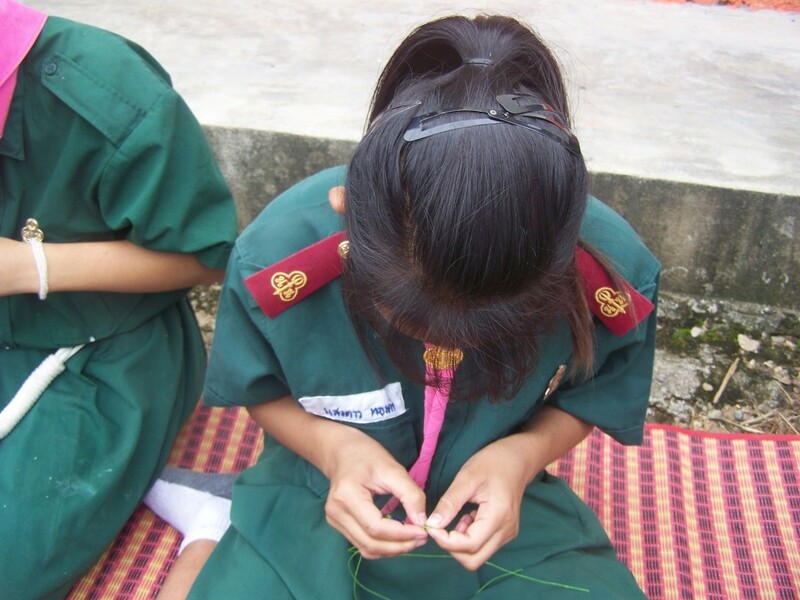 I head over to a mat to meet with a 12-year-old girl who shows me how to weave a beautiful bracelet. While I sit there, younger kids come up to me, handing me pieces of paper. I look at the paper — on it are volunteers names with the places they are from. 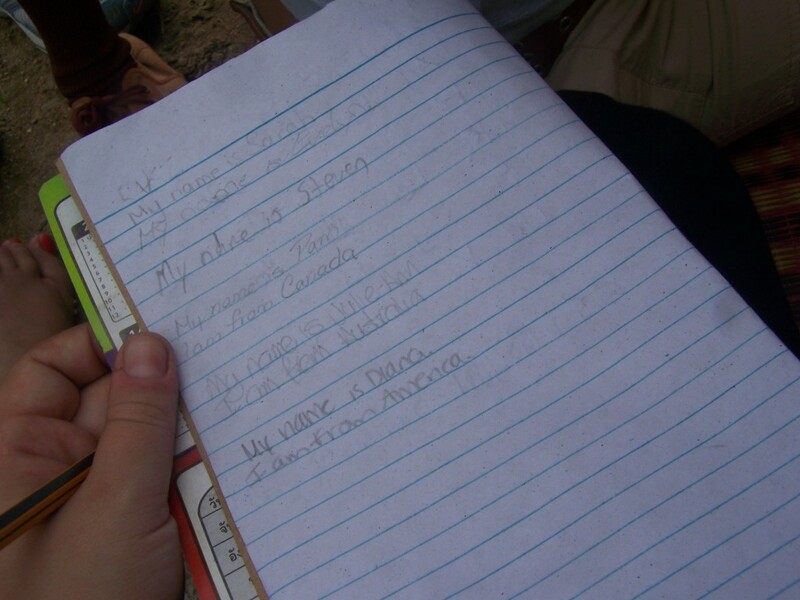 I am handed sheet after sheet and write the same thing over and over: I am Diana. I am from America. One little boy sits with me as I write, placing his tiny hand on my leg and looking over my hand as I scratch out the words in pencil. Pam and Steve are covered with kids when I arrive to the classroom of little ones. 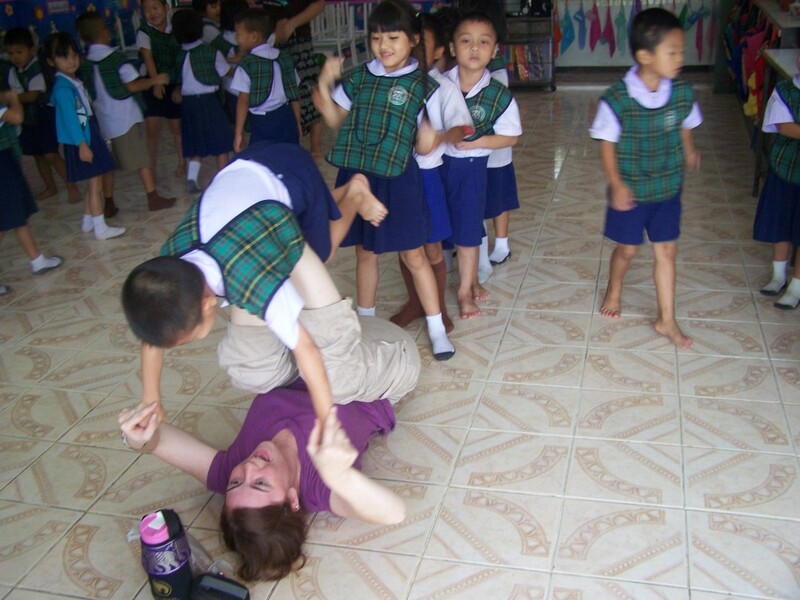 Pam, laying on the floor, is balancing kids on her legs, extended in the air. Another volunteer, Sonja, is walking around with two girls attached to her hip, one on each side. I sit down on the floor and am swarmed. The kids are in love with my digital camera. We don’t speak the same language, but it’s obvious what they want: photos. There is one little boy who can’t get enough posing. He stands there, flashing the peace sign, looking gangsta, whatever he feels in the moment, and looks at me anxiously, waiting for me to snap his photo. After each photo, he rushes up to me and stands next to me, looking at the image on the tiny screen. He’s not the only one who hams it up for the camera. The boys are far more intrigued by seeing their photos than the girls. The girls are being carried around the room or juggled on Pam’s legs. 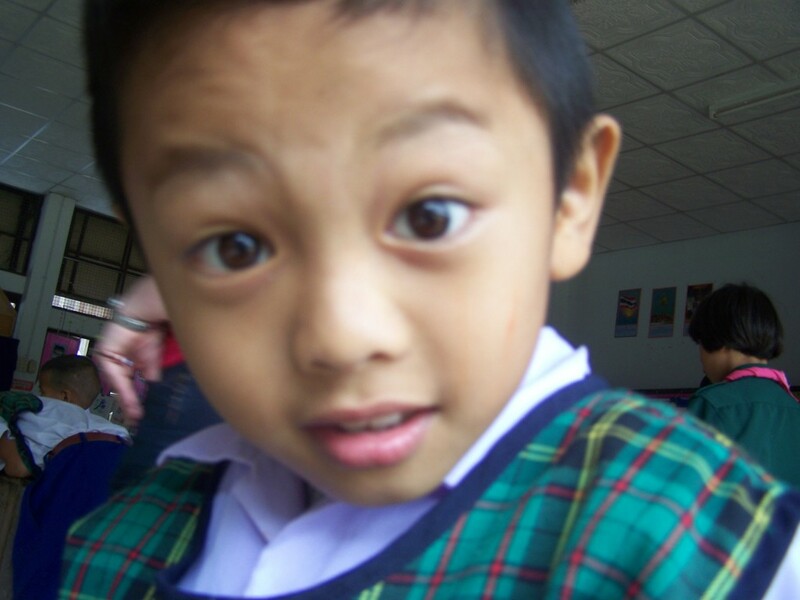 I stay with the younger kids for a little longer, letting them take my camera and take their own photos, then I head over to the food area and grab some sesame balls and a “milk shake” which is really powder milk with some generic Oreos and ice blended together. And, it’s damn tasty. Drink in hand, I split off from the group and wander a little down the road from the school. 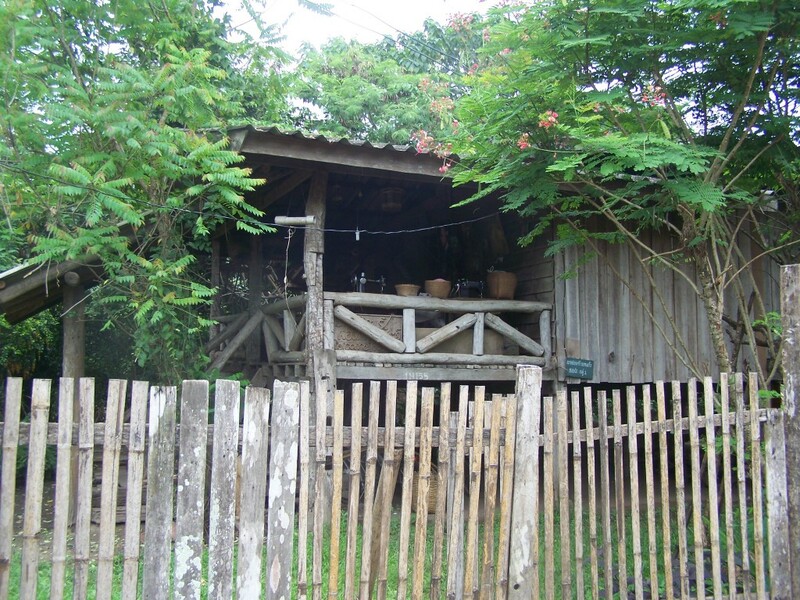 There’s not much around it … just wooden houses and jungle. But, it’s charming and peaceful in it’s own right. After two hours at the school, Jack and Chai gather us back into the vans and we return to the park. When we get back to the main compound, I am thrilled to see the founder of the park, Lek, sitting at one of the wooden tables and benches. I’ve been wanting to meet her for days, and now I have a chance. Great story and photos! I visited a couple of elementary schools while I was in Nepal and it was definitely an experience to remember. Thank you! I really hope I can have more experiences like that! That little boy is awesome! Sounds like an amazing experience. I always love snapping photos of kids wherever we travel. They’re so un-self-conscious, it’s like this huge eruption of energy in this tiny little frame. Cool post! The children really are amazing. It was a wonderful experience, even if it was only two hours. I really enjoyed being let into the school and learning about life at the schools. Thanks for all of the support, Bret! Great photos. Thanks for sharing. 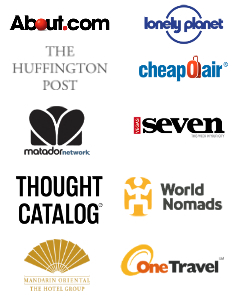 We are going to be in Thailand in about 2 weeks, and I am really looking forward to it (we are starting in the south and working our way up to Chiang Mai where we are going to spend the bulk of our trip.) Can’t wait! 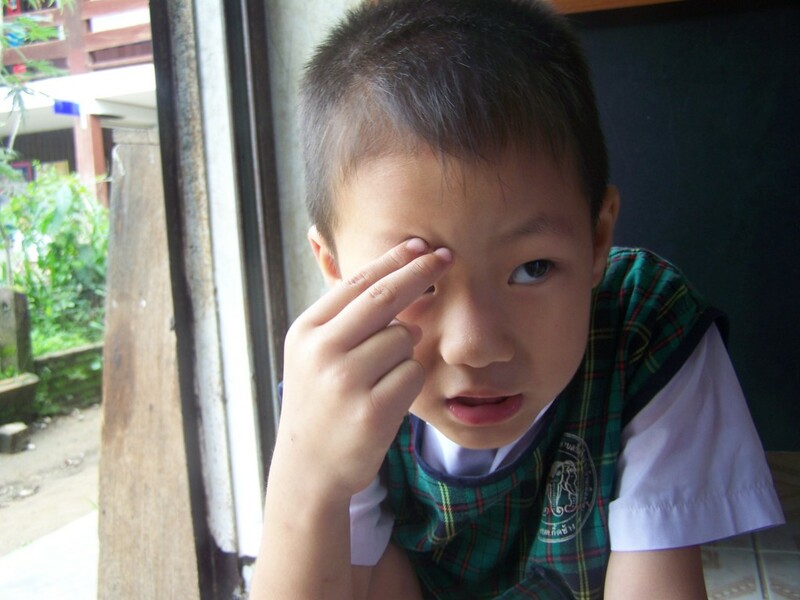 Such cute faces, your Thailand trip has been really interesting, you visited a lot of places in such a short time. They are the cutest little faces! 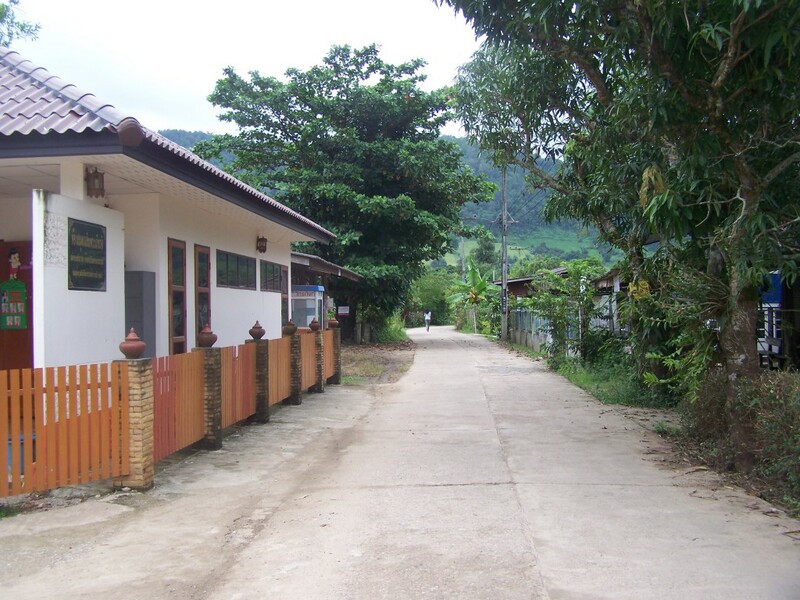 I did cram in quite a bit in two weeks — and I was only in two locations, ENP and Chiang Mai. Did a lot of places around both! Reminds me of when I was a volunteer English teacher in Sri Lanka. They went crazy for having their photo taken (unfortunately it wasn’t digital back then so I couldn’t show them the results) and were always writing me little messages like “I love you teacher!”. So sweet. I fell in love with those kids. They were so sweet! 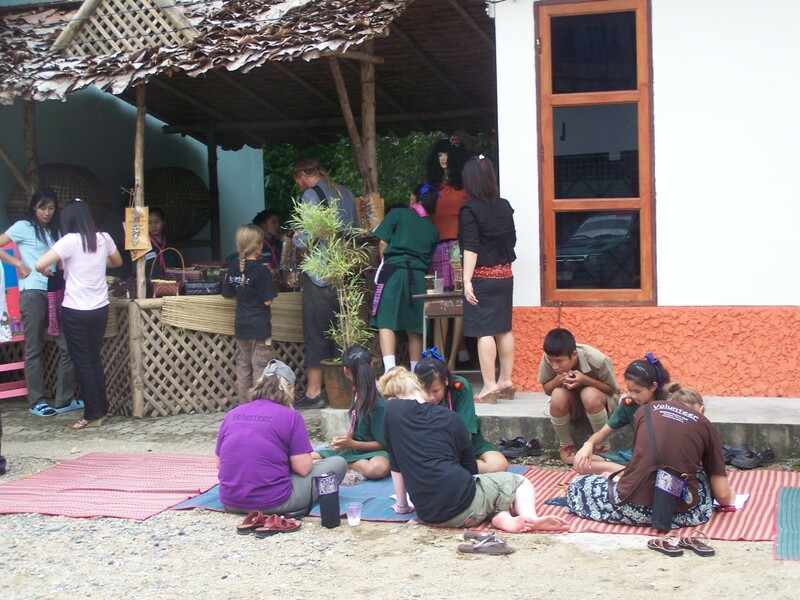 I would love to go back once I get my TEFL certificate and teach them! Awh they’re so cute. What a special opportunity. It was a really special opportunity … in the middle of an extraordinary opportunity! The entire week was just a huge blessing. Cute kids! Interesting to see how different the classroom is from what we take for granted in the US. It is so, so different! Exciting! And such charming photos! Thank you! They were fun to take! Love it! 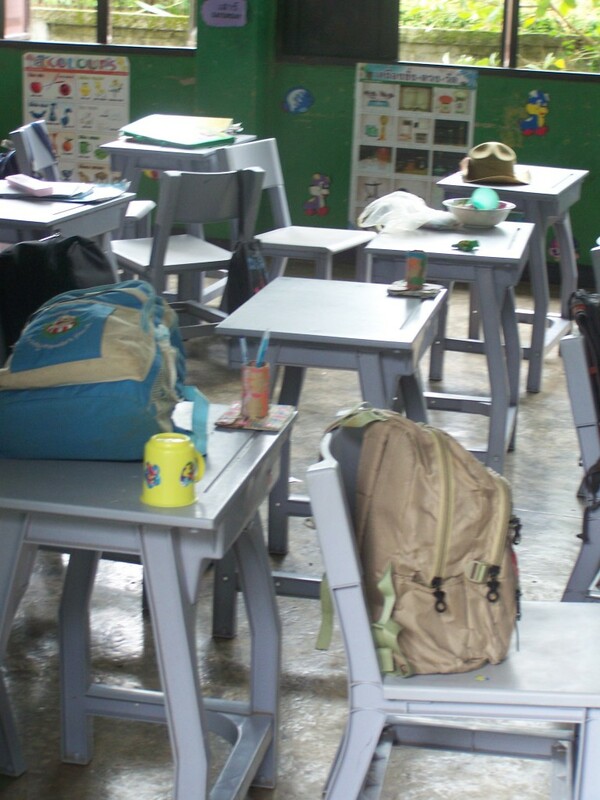 Yes, visiting schools in poorer countries can be quite revealing. I love when kids are obsessed with cameras. It was really interesting. In one room, a little girl sat alone playing with jacks. I’m pretty sure if you asked a kid in America if he/she has ever played with jacks they would look at you blankly. One of the saddest things we saw while living in Kenya happened when we were visiting a primary school. The little kids were essentially at recess but didn’t have any toys, so they were playing with rusty nails they’d found on the ground. It’s an image I’ll never forget. Oh, wow. I don’t think I could forget that image, either. It puts things in perspective, eh? See, I can handle kids like this, when I can give them back lol. They look super cute! SO GREAT. 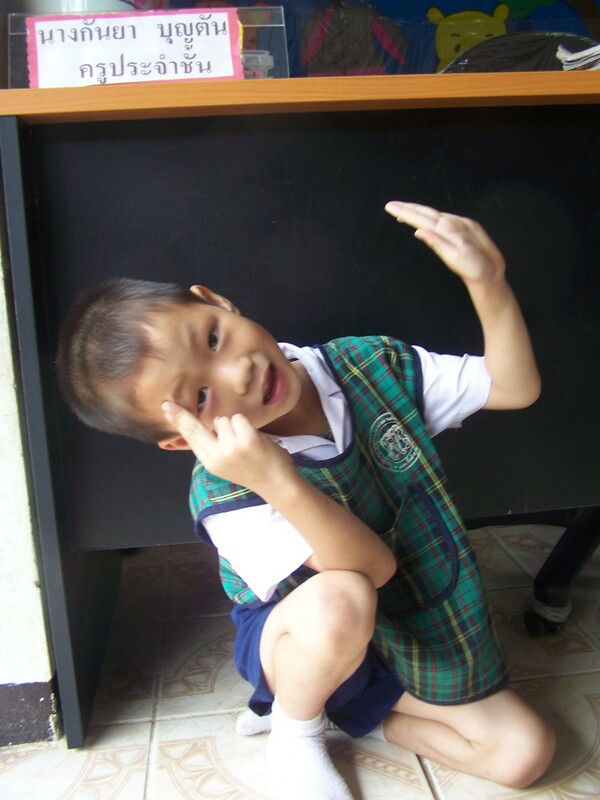 I love these photos, the kid that wants to be a gangsta is so hilarious! What an incredible experience. That kid was soooo adorable. He was all about taking photos, too. Every few seconds, he would wave for my attention, and then pose. Love this photo essay! You really take the reader on your journey with you! I hope even more travelers spend some of their time interacting with the local education system. It gives the traveler so much, and (as is evident from your photos) the kids, too! Thank you, Lillie! Even spending just the two hours with these kids made my day! What adorable kids! I have always wanted to visit Thailand…now I want to go even more! This trip has been such a rewarding experience for you. Keep the stories coming! Sounds like you had a great day. The kids look really happy in the photos. I’m sure your visit made their day! It was a great day!! I hope the visit made their day, too! I freaking love kids. I miss being a preschool teacher so much. It is so interesting to visit kids who speak another language. Kids just want attention and love and they are happy. Looks like you had a really rewarding, happy day! Those kids were so cool. I loved how quickly they took to us and just wanted to be entertained. 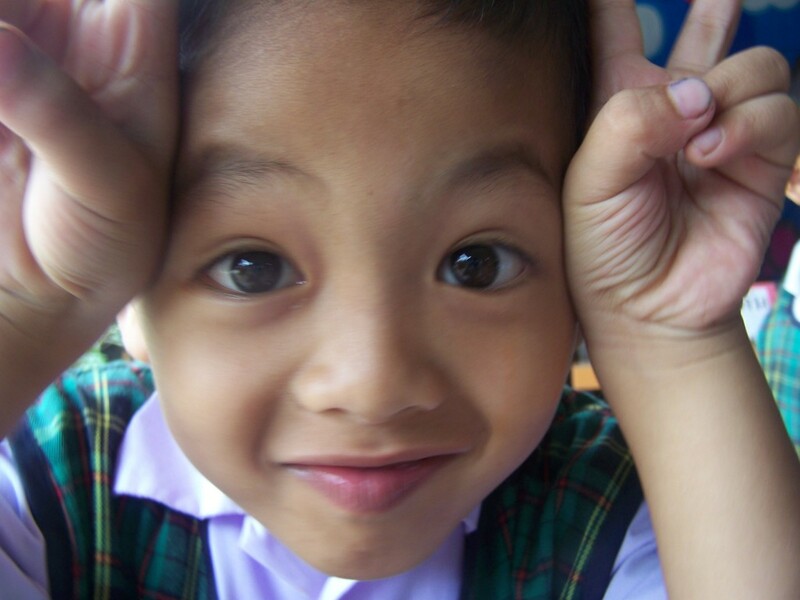 I’m getting my TEFL with the hope I can go back there one day and work with kids just like that. D, what cute look kids! 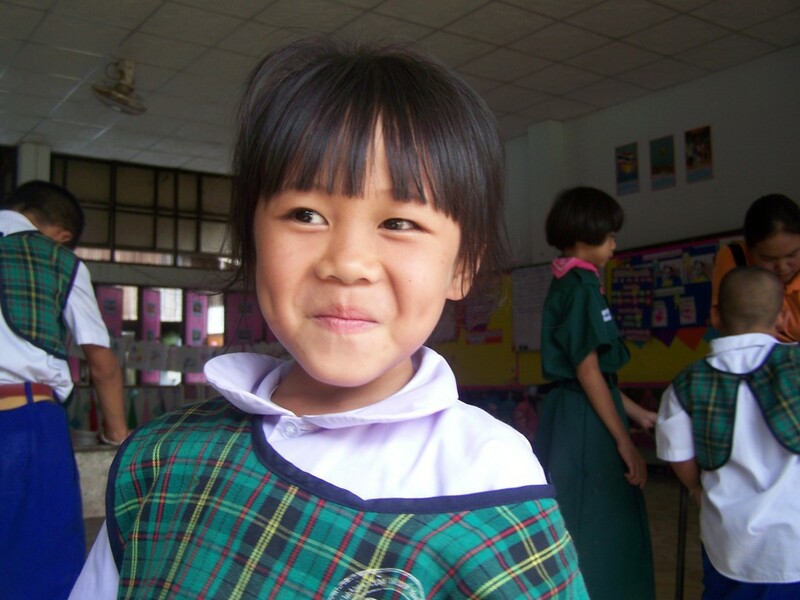 I’ve also really enjoyed visiting schools while in SE Asia. Hi, it looks like you really enjoyed your time at the village school. 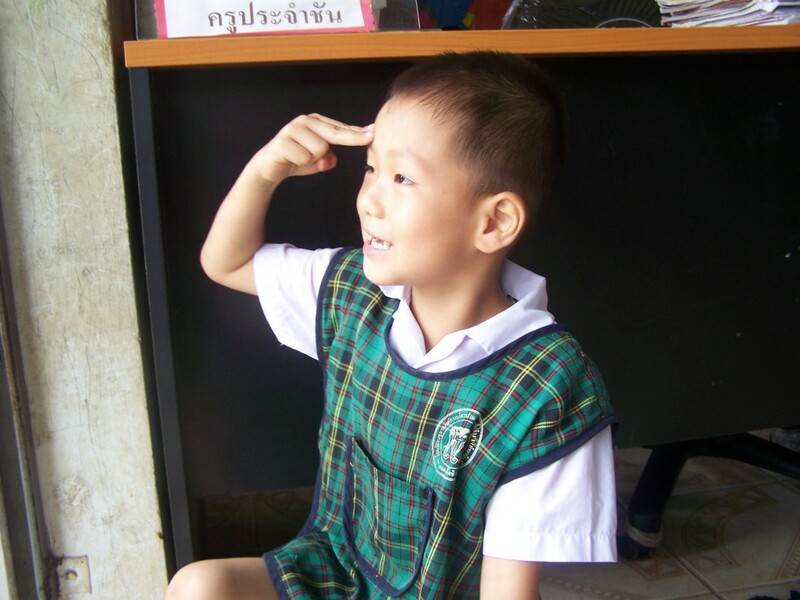 I live and teach in Thailand, been here for 5 years. I started out my time with an amazing group of people called English Crazy Club in Ubon Ratchathani. I don’t know how much longer you have in Thailand but if you get a chance, maybe you could visit Ubon and catch a glimpse at the relatively untouristed part of this great country. I wrote an article about strange things to do in Ubon(including volunteering with the English Crazy Club). Perhaps you might like to check it out. I really did enjoy my time there! Sadly, I am back in America right now. However, I do have plans to return to Thailand and to teach. The English Crazy Club sounds right up my alley! One of my favorite parts of our RTW voyage was the visit to the orphanage in Cambodia–and I am famously not a kid lover, too! Aww, I would LOVE to go to an orphanage. Although I am pretty sure if I did that I would end up with more kids than Angelina and Brad. 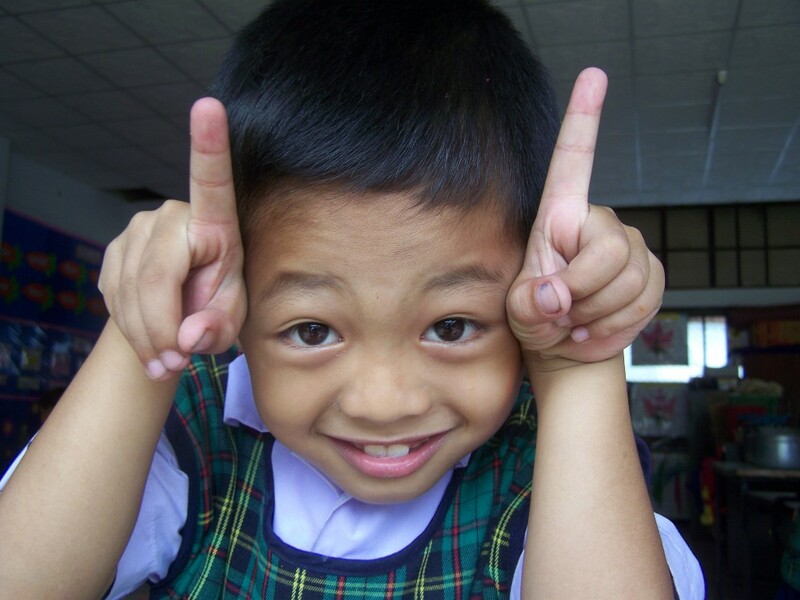 There is an orphanage in Chiang Mai. It’s just off the moat that circles the city. I think the name is Ban Kingkaew. I visited it about 4 years ago. I just bought some diapers and rocked up there. They were really friendly and invited my friend and I to hang out in the classroom for a bit. How cool! I would love to do that next time I visit! I’m not a big fan of kids, but these are super cute pictures! All these kids look so cute. it makes you want to go and see them in person. Children are GREAT! I spent some time in India teaching local children and the experience was soo enriching! They’re so loving and happy!